You may have gone to your nearest and favorite fast food restaurant, convenience store, or gym today. But as you enjoy their services, have you ever wondered how these businesses run given the fact that a lot of these is scattered around the country? Friend, you are about to discover something amazing and very interesting to invest to: franchising. Now, now, you may have heard of it a long time ago but how much do you know about franchising? Fran Frog, a franchise consulting agency, will be breaking down the things you need to know about the mentioned topic and how you can even benefit from it if ever you decide to enter on the enterprise. But the franchisee does not get all of these for free. It is a custom and a must for the franchisee to pay the franchisor for both the initial start-up fees and the annual licensing fees. The franchise contract will make the franchisee a credible and approved provider of the services of the business. What makes franchising a good business to spend on? What are the basics & regulations of franchising? The franchisee’s purchasing of the controlled rights or trademark of the business is one of the commonalities in every contracts. This is paid in the means of an upfront fee. It means that the franchiser has a percentage in the sales of the business. As we have mentioned, there are many other things in a franchise contract that are not talked about above. Not only are they many but are also complicated to some degree. 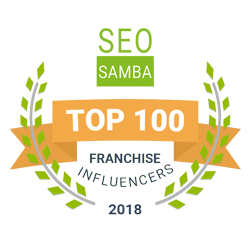 That is the reason why one needs an agent who can guide him or her and will be willing to journey with the franchisee in the process of buying a franchise. Because there is an increase of the demand of franchise consultancy agencies in the country in the recent years, a franchise consulting agency was created. With the help of credible, experienced and efficient agents, Fran Frog allows you to explore the world of franchising and will be your guide from deciding to buying franchises to running it when all is said and done. If you want to avail our services from the finest franchise consulting agency, you can visit us at www.fran-frog.com. This entry was posted in Franchise Consulting Agency and tagged Business, consultants, Finance, franchise, Franchise Consulting Agency, Franchise Development, Franchising, investment, Marketing, professional consultants, Success. Bookmark the permalink.